There comes a point in every garden where we get overrun with zucchini. 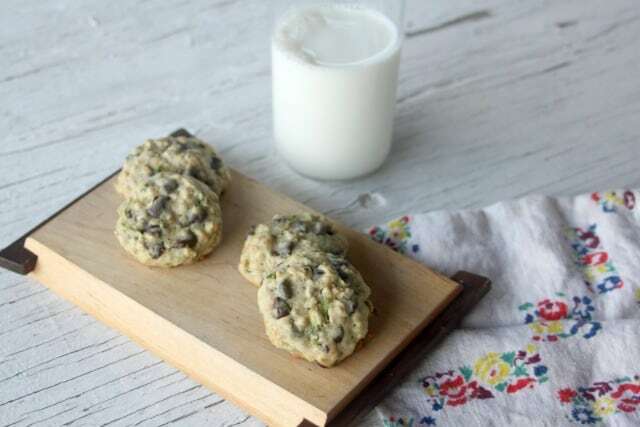 Thankfully, these zucchini oat chocolate chip cookies are a great and easy way to use some up. If you're like us, you've eaten it roasted, sauteed, in soups and smoothies, and have even frozen and dried some zucchini for winter too. And still those plants just keep on producing. These cookies whip up quickly enough and can be doubled or tripled for sharing. Your neighbors and co-workers are probably tired of your extra zucchini too. These cookies make for sweet treats that no one is likely to turn down. They tuck nicely into care packages and fit well at many potlucks. Don't be shy in giving away your extra zucchini in the form of cookies. 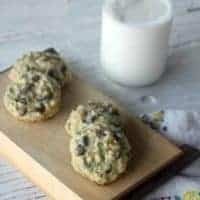 Zucchini oat chocolate chip cookies freeze well too so do make a big batch or two and freeze them for later when maybe the zucchini burnout isn't quite so overwhelming. These are a hearty cookie, perfect for lunch boxes, hikes, and road trips. Filling and while certainly sweet not terribly unhealthy in small doses. 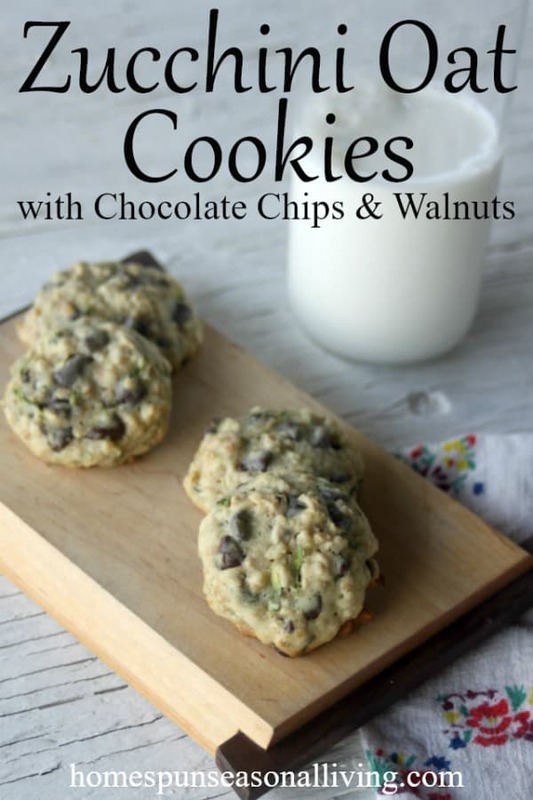 Truly these are a versatile cookie worth making in large batches and really they might be more welcome on the neighbor's porch than all the extra zucchini so many of try to sneak this time of year. I've made these cookies a number of times and have found that the amount of water in the zucchini effects baking time. A person could let the shredded zucchini sit in a colander to drain off extra water. I'm generally too lazy for that. I simply grate and toss into the cookie dough. Depending on the natural water content in the cookie it may take a few extra minutes to bake. Just make sure the cookies are done with golden brown edges. More water also means a softer zucchini oat chocolate chip cookie. If you wanted a crisper cookie, draining off some of the extra zucchini water would help. 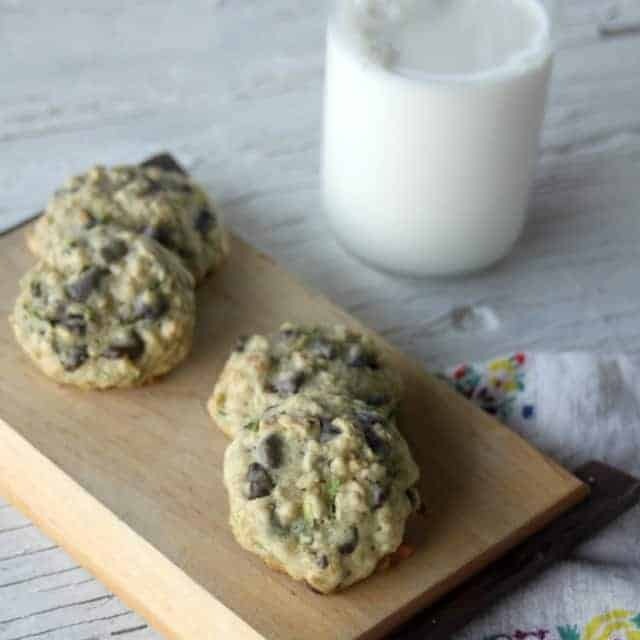 Make these zucchini oat chocolate chip cookies as a tasty way to use up and give away the ever abundant garden fresh zucchini. Line cookie sheets with parchment paper or oil. Whisk together the flour and baking soda. Set aside. Cream the butter and sugar until light and fluffy. Ad the egg and vanilla extract, beat well. Add the flour mixture and stir until almost combined. Fold in the oats and zucchini, mix well. Add the chocolate chips and nuts - mix until everything is well combined. Drop dough by Tablespoons (or a #40 cookie scoop) onto prepared cookie sheets. Bake in preheated oven 15 to 20 minutes or until edges are golden brown. Cool on wire racks.